Like any other capital, Paris is a huge city, but different from other metropolis, like London or Berlin, it still preserves all the charm of the Renaissance. Paris has so many places to visit and historical landmarks, walking around, drives you back in time. You smell the freshness of the Belle Époque in each detail of the city, from its historical buildings, cafes or decorations. Despite its classic atmosphere, Paris is full of life. It doesn’t limit itself to history and museums but offers a whole new 21st-century life. There are so many things to do, that definitely you would need more than 3 days to have a complete experience of it. However, if it is your first time in Paris, this 3 days in Paris guide will help you to see the most important points and have an idea of why people fall in love with this city, also, don’t forget to check the things to know before going to Paris. For those spending from 3 to 6 days in Paris, I highly recommend buying the Paris City Pass, which gives you FREE access to over 60 attractions, free transportation within zones 1-3, skip the line of most of the attractions, besides loads of discounts and many advantages during your staying in the city. If you need help packing your bags for your trip, don’t forget to have a look here. 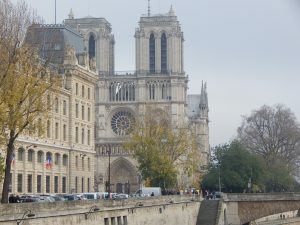 You can start your day by visiting the famous Notre Dame, there is a metro station called St-Michel Notre Dame that brings you right in front of it. Arriving there, you will probably need to wait in the line to get inside, but trust me, it worth waiting. The entrance is free. The interior is beautiful with some vitrals and statues decorating the cathedral. For a small fee, it is possible to climb to the top of Notre Dame, where you have a nice view of Paris, including the Eiffel Tower. After leaving Notre Dame, you can explore the neighborhood a little bit. There are some local artists exposing their art alongside the canal. In a walk distance from Notre Dame, you find St Chapelle, a famous chape but it is a less touristic spot in Paris, maybe because of its fee of €8, but it’s beautiful! At first, when you enter it, you start asking yourself if it really worth €8, but as soon as you go up, you change your mind. 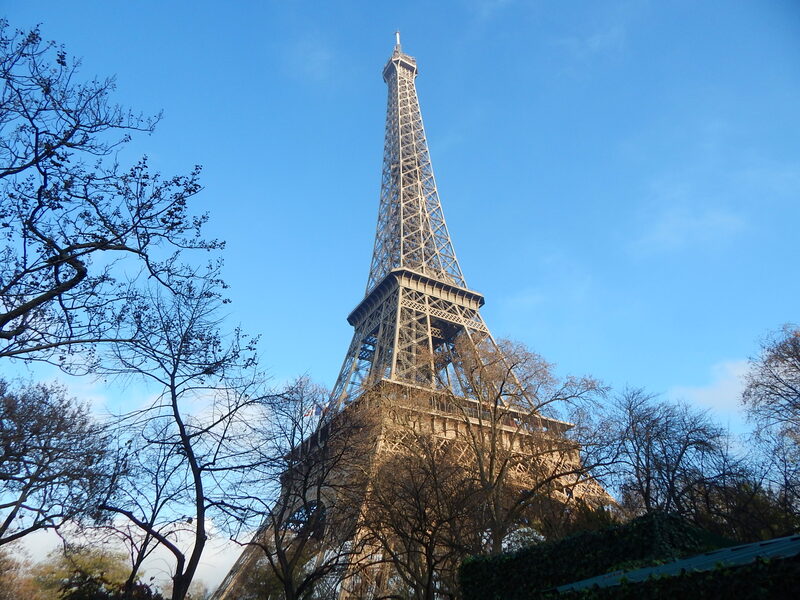 Take the metro again to the Eiffel Tower, Champ de Mars Tour Eiffel Station takes you really close to it. A picnic in front of the Eiffel Tower is always a good idea during the summer. Prepare yourself and buy some sandwiches on your way there. If you like panoramic views you can climb the tower, but my suggestion is to pass it, as we will have another spot later where we gonna have an even better view, after all, what’s the point in having a view of Paris that you can’t see the most important touristic point of it?! If you have the opportunity, don’t hesitate to take the Seine Cruiser. At first, it might sound like a too touristic thing. However, you will not regret it especially if you have only a few days to see the whole city, with the cruise, you will see enough. Time to explore some museums. If you are a big fan of museums, you might be willing to visit the Louvre Museum, after all, it is the biggest museum in the world, and totally worth a visit. But it requires time, and if you have only 3 days in Paris, I don’t recommend you to visit it, especially in the summer, where the place is crowded and you need to wait for your turn to appreciate any piece of art. Instead, you can pay a visit to the Musée d’Orsay, one of the most famous museums in Paris, and just a walk distance from the Louvre. It contains paintings, sculptures and other masterpieces by important artists including Monet, Renoir, and Van Gogh. Click here to buy your skip the line ticket. Of course, if the Louvre is a must for you, you can always make a fast visit, visiting only the most important masterpieces of the Louvre. You can buy your skip the line ticket for Louvre here. Nothing stops you from admiring the Louvre from outside though. Visit the Jardin des Tuileries, and head to the Place de la Concorde, where you can see the Obelisk, the Fountain des Mers and of course, the Big Wheel. The Place de la Concorde indicates the beginning of the most famous avenue in Paris, Champs Élysees, where you can find the finesses stores and if you go during the winter, it’s where you will find the best Christmas Market of Paris. Prepare yourself because it is a huge avenue and it will be a long way to our next stop. Yeah, you guessed it right, the Arc de Triomphe. Finally, now you have the chance to get one of the best views in Paris, not everybody knows but you can climb in the Arc de Triomphe, and it is there that you have one of the best views of the city. 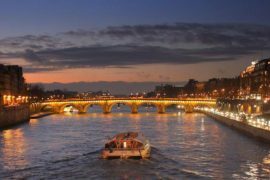 This is our last day in Paris, and assuming you might be tired, we will pick a simple routine, that will let us enjoy the Parisian nightlife a little bit. 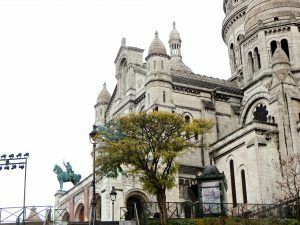 Take the metro to the Montmartre area, head to the Sacre Coeur and climb its stairs. If you are smart, you can take the cable car to the church. I only found out about the cable cars when I got up there. From there, you have an amazing view from Paris, and it is free. It will probably be crowded if you go during the summer, the entrance is free. Unfortunately, it is not allowed to take pictures inside the church. After visiting Sacre Coeur, you can take the cable car again, (or the stairs, your choice) and go have some fun around the neighborhood. Montmartre is one of the most beautiful neighborhoods in Paris, and definitely the one with the best nightlife. Explore around, you will find stores selling all kind of stuff. There are many cafes where you can have a good meal. 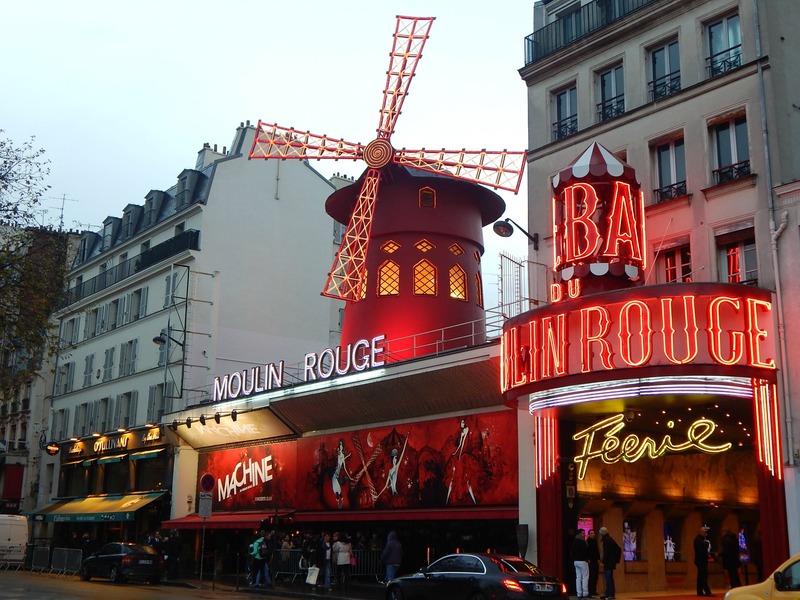 As night approaches, go see the Moulin Rouge, another must-see point in Paris. During the night, the lights are on, which gives an absolutely new charm to the place. Unfortunately, the show’s prices are a bit salty. If you are not tired yet, you can find a good bar in Montmartre, to enjoy the rest of the night in the best Parisian style. Or you can just run straight to your hotel to hit the bed. This post does contain affiliate links that I earn a small commission for. Any purchases you make through my links help keep the site running. Thanks in advance for your support! Love this post, and the photos. Quite a complete programme for 3 days. That would be quite an opportunity! Paris has so many hidden pearls that even if you spend a long time, you will never get tired of this city. Besides, there are many interesting one day trips that one can take from the capital! Are you going by any chance? Thanks for following my blog. Paris is our favourite place. We are actually moving to France soon and looking forward to weekends in Paris and not just in Springtime. Last year we visited the northern area for buttons and bows, linens and leather and especially loved Reines. A seamstresses delight. Lucky you, France is beautiful I hope you enjoy it fully! 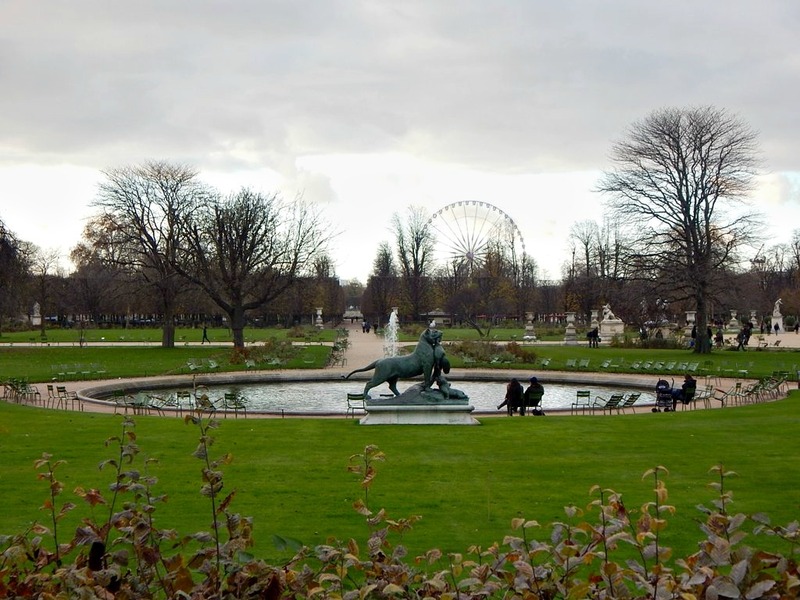 Paris is full of charm and hidden pearls, there is so much to be seen! I would suggest for you to explore Marais, there are amazing bars and shops there, during springs and summers take a walk around the Bastille area, it is beautiful! For more eccentric views, visit Belleville! I wish you all the best! These are some great tips! Lots of iconic places! My parents are actually headed to Paris in April! I’m going to have to pass this post along to my mom!!! I love Paris! Cannot stop enjoying it whether being there or reading about it! This is what I would need for a city trip to Paris! A beginners guide to a beautiful city. These are great suggestions for a short visit to Paris thanks, saving it to my Pinterest Paris travel inspiration board for sure! Especially love the idea of having a picnic close to the tower – that would be so romantic! 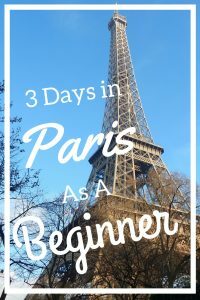 Great tips for first timers to Paris. My favorite city. Thank for you this! Very informative and learned a couple of new things that I’ll will now consider for my future trip to Paris. Great post. I think there are not many more specially places left to see. hence I think 3 days are great to spend in Paris. Thanks for sharing this piece. Cheers. 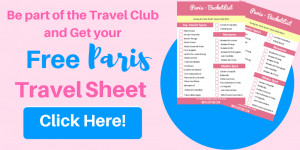 Really well thought itinerary for a short stay in Paris! Hitting up the highlights in the limited time available. When I was in Paris for the day we ate sandwiches before the Eiffel Tower, ate my first macaron, went into Notre Dame (no crowds in June/Julyl; how?) met someone new at a cafe and more. Oh and climbed arc de triomphe at the start. It was one of the most magical days of my life and roughly like your itinerary but in just one day! wooow that amazing that you managed to do so many things in only one day!! Paris is really a magic city!! In only a month I will be in Paris for the first time. 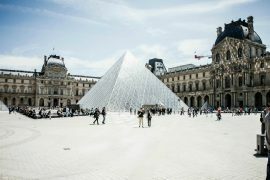 You have given some great tips – I am considering bypassing the Louvre now since we don’t have a lot of time ti go inside. Thank you. Thank you Josie!! I hope you enjoy Paris as much as I did! I’m saving this post for a future travel date to Paris TBD. Good tip about the views from inside the Arch de Triomphe. I’ve been to Paris a few times now and can vouch for your itinerary. Great guide for first timers looking to catch the highlights of the city. Nice Post Dora and great photos. You must’ve started touring early in order to get pics with so few people in them (especially around the Louvre! ), good job!! I’ll be in Paris soon, so this is super helpful! Just reading the post makes me want to pack my bags and leave! What a charming writer you are! I'm a Brazilian who love to travel and meet different cultures. I have been to 11 countries so far and counting, I try to travel as much as I can while keeping my normal 9 to 5 job, and I'm here to help you do the same!